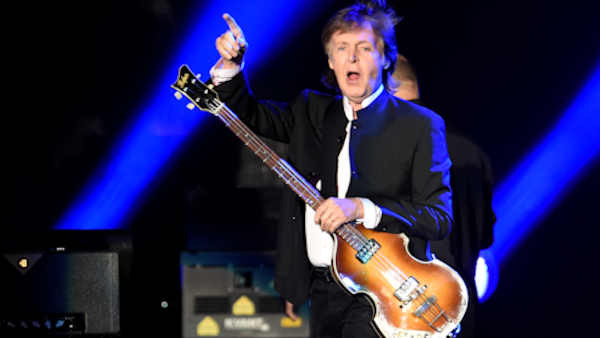 CHICAGO (WLS) -- Sir Paul McCartney will return to the Chicago area this summer with his "One on One" tour. The show will take place at the Hollywood Casino Amphitheatre in Tinley Park, Illinois, on July 25. It will be the former Beatle's first show in Chicago since headlining the Lollapalooza festival in Grant Park in 2015. According to the tour promoter, Live Nation, the "One on One" tour started in April 2016 in California and opened with the first performance of "A Hard Day's Night" since it was last played by The Beatles in 1965. Tickets for the show in Tinley Park go on sale to the public on Saturday, April 29 at 10 a.m. at livenation.com. Windy City Live is also offering a chance to win tickets to see Paul McCartney.